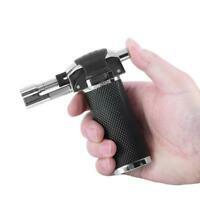 Best inexpensive reliable lighter with easy flame adjustment and visible fuel window. This is my go to lighter. Every-time I light up everyone is asking to borrow my cutter, then my lighter. So far no one has asked me to smoke their cigar. I started buying these a few at a time and just give them out to friends. I am finally saving on butane! 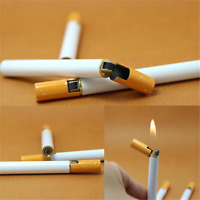 I've used this lighter for several days and it works very well. 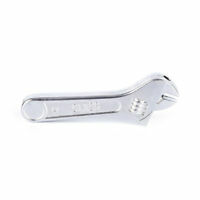 Fairly compact in size so is easy to carry. 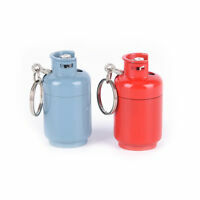 It can stand on end and has a "flame on" lock feature which comes in very handy for hand's free operation. Very happy with purchase. 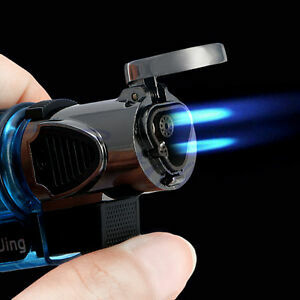 This lighter burns like a jet plane: it fires 3 flames of about 4cm long and wind won't blow it out! 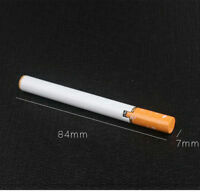 It is ideal for lighting a cigarette, cigar of even a pipe or use it for shrinking tubes and keep it in your toolbox. Only minus is that there is no locking mechanism or the slider that is provided doesn't work. The picture makes it look like its good quality. However, it works fine but its made up of a hard plastic. It was disapointing coming out of the package.